Simpson Nurseries was started as Simpson Nursery Company, which began in 1902 as a family partnership. By the early 1960’s the Simpson Nursery Company had become the nation’s leading producer of pecan trees and watermelon seed. In 1963 the business was sold to Gro-Plant Industries and product offering was expanded to a complete line of deciduous trees and evergreens. Simpson Nurseries Florida is an 1100+ acre container and field tree production area and includes over 2 million deciduous trees and shrubs ranging in size from 4 inch containers to 100 gallon. Tennessee is a 135 acre tree production area, producing 750,000 containers. Each year, approximately 20 acres of the nursery in Florida are planted for pecan tree production. The pecan tree production cycle runs three years. The nursery also plants 80 acres in general field nursery stock each year with a production cycle of 1-2 years. Amongst pecan trees and general nursery stock, Simpsons also produces fruit trees, shade trees, flowering trees, deciduous shrubs and evergreens. Simpson Nurseries has a self-contained propagation/production area. Included in propagation/production is a softwood propagation department, which holds over 1 million nursery cuttings, an area for container seed that holds 500,000 liners and a field bed production space. Field beds are used to grow marketable trees and shrubs from seed, hardwood cuttings, rooted liners, budded under stocks and bench grafts. The plant density for some of our varieties range as high as 50-60,000 trees per acre. Simpson Nurseries contains 1500 total acres split between two locations in North Florida (Monticello) and Middle Tennessee (McMinnville). The nursery is now a leading source of pecan trees, deciduous nursery stock and evergreens. The company’s market includes retail nurseries, landscapers, mass merchandisers and pecan plantations, from Florida to Maine, and all states east of the Mississippi River, as well as capitalizing a share in the online retail marketplace. Striving to develop new technology, production methods, new genetics, and marketing ideas has allowed Simpson Nurseries to maintain our status as a leader in the nursery industry. At present, the nursery has 230+ full-time employees, which makes us the leading employer in Jefferson County FL. Full time positions range from upper management to field laborers. Simpson Nurseries prides itself in striving to be both fiscally and environmentally responsible in operations. 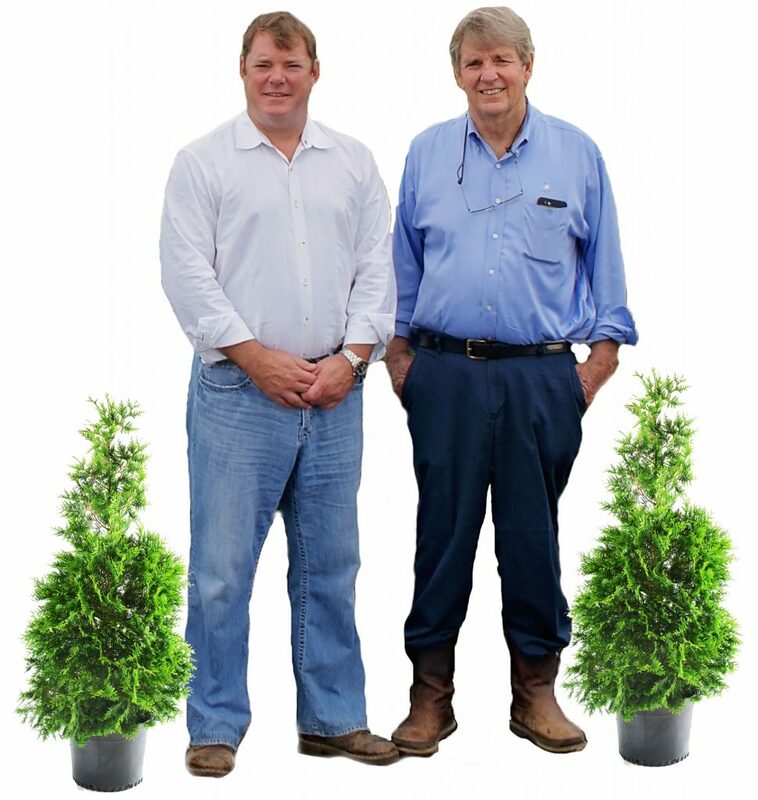 In 2014, the nursery was awarded the Northwest Florida Agricultural Innovators of the Year by the University of Florida’s Institute of Food and Agricultural Sciences and has won several other awards over the years. Together with the City of Monticello, Simpsons installed a multi-million dollar water recycle system that allows the city to pump 400,000 gallons of water on a daily basis. Water is pumped from its treatment plant into two of the large ponds located on the nursery rather than the wetlands. Simpsons uses the water to supply its irrigation systems, thus significantly reducing the use of groundwater as well as lowering nursery costs and being environmentally friendly.